Sending money, gas cards, school supplies and cleaning supplies are all ways people can help hurricane victims. Roofs of homes dotting the water’s surface like glaciers in the arctic, families being rescued from second-story apartments, harrowing stories of families being separated and losing everything, including family members — watching the devastation in Houston on the news last week was heartbreaking. And we were only seeing glimpses of the destruction that is a reality for Houstonians. Amidst the Hurricane Harvey chaos, I was hearing many stories, second-hand, of volunteers from our real estate community doing amazing work and helping in dire situations. I reached out to the Inman Coast to Coast Facebook page and asked for names of agents who were helping. I received hundreds names. Below you’ll find five interviews with professionals in our real estate community who are aiding the Hurricane Harvey efforts in a variety of ways. Interviews with Ryan Bokros on boat rescues, Enid Cleland working with the Red Cross in the city’s largest shelter, Caroline Pinal and GiveBack Homes organizing fundraiser relief, Joseph Diosana assisting in the warehouses of incoming donations and Mark Maniha helping people gather their belongings. Tears were shed in practically every one of these interviews; no one would don the title of hero willingly, but I believe you’ll agree that the work they are doing is nothing but heroic. 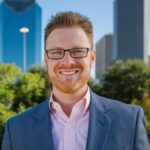 Ryan Bokros, managing partner with JLA Realty with eight offices across the Houston area, is a first responder who has been busy rescuing stranded citizens by the boatload, but not just in Houston — in Port Arthur, Beaumont, Orange and Orton as well. Are there any road vehicles available to used, or is it pretty much still boats? We’ve seen large jacked-up trucks that are able to be used in certain areas, but we’re more of a command center for one of those desperate situations that will require a lot of rescue. We had a crew yesterday that left our staging area probably at about 9:30 in the morning, and they didn’t get back until about 11:30 last night. 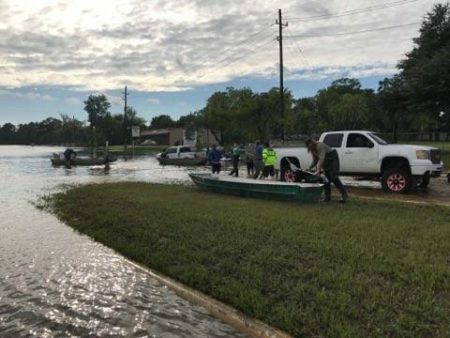 They went to Port Arthur, and then as they were coming back home to Houston, they had another call for an apartment complex downtown and a crew of two or three boats with two to three men per boat rescued about 80 people. Is there one image or one situation you’ve seen that stands out to you? There are two of them. I carried a pregnant woman about 300 yards yesterday. She had a medical condition, high blood pressure, and just the look in her eyes, it really struck me. And then I also carried a five or six-year-old little girl to safety. She just wrapped her arms around my neck as tight as she could. I had her and her little puppy in my arms. Those are the things — just the looks in people’s eyes. How can the Inman community help out? Just because of what my mission has been, it’s really hard for me to even answer that question. My focus has been here on this with the boats and rescues and all. My wife Maggie created an Amazon wishlist, which I know a lot of people have purchased things from because she has been in direct contact with the local shelters and the community of people that are running the shelters. And money for gas to keep all of these boats running. People have been sending me PalPal payments to use to buy gas cards and distribute to the boat drivers. 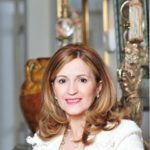 Enid Cleland is the CEO at The RE Luxury Team/ReMax Collection Luxe Portfolio in Houston. Cleland has spent every day since the flooding started volunteering in the George Brown Center, Houston’s largest shelter, holding over 9,000 evacuees. She was reluctant to be interviewed because she didn’t want to be dubbed a hero. What’s the largest shelter in Texas like? A lot of the people displaced have been transported there. That is true. It’s really sad. I’m just very emotional about this. I needed to do something. It’s very traumatic … outside the George Brown Center, the line of volunteers was almost wrapped around the building. It was incredible. So, to be a volunteer these people have to go there and stand in line. And so many did. There are several stations where we could register with the Red Cross or different departments of the Houston government that are working there. And then there’s FEMA. There is legal. There is medical. There is mental health. It’s all very organized. What it’s like for the new residents of the center? Once the evacuees get registered they are sent to one of the many halls. It’s gigantic here. So they divided the halls, like A, B, C, D, E. There is a hall for families. A hall for single women, a hall for people with pets so people did not have to leave their dogs behind. Then there’s another area for single women, and there’s another area for families. It is very organized. They’re all in one area also at the beginning, and what they do is that they evaluate people to see if they’re OK. You know, if they need anything and then to check on their mental health as well. Is there anything you have seen that stands out to you? I met a lady that I had to help right away. She was rescued by a helicopter [and] was separated from her kids … she was there, and the kids were somewhere else. Two days later, they were reunited. We had another lady come in, and she was so traumatized that she was on suicide watch. So we [had] to move her to the hospital. How are you doing as a Houston resident through all of this yourself? So I have been here for days, but I will probably have to check on my building this afternoon. I just opened a huge new office. I don’t know what’s going on there. It’s a luxury building on the first floor though so who knows. But that is nothing compared to what all of these people are living through. You have set up a Red Cross site, correct? Yes. I’ve been so impressed by the Red Cross. I’ve set up a website for donations. The Red Cross is organized. It is a big, big part on the effort here. Donations can be made to the Cleland’s Red Cross website. 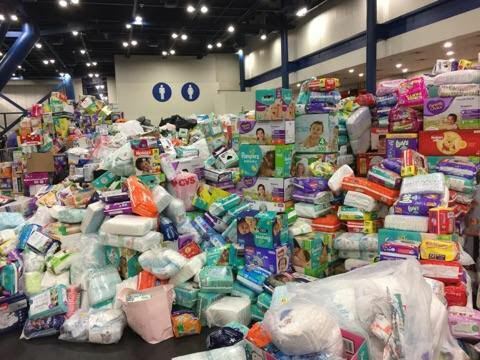 Diaper donations at the George Brown Center, Houston’s largest shelter, holding over 9,000 evacuees. GiveBack Homes is based in California and has been in fundraising mode since the flooding in Houston started. 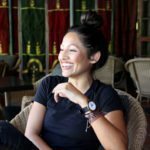 Caroline Pinal, a co-founder of GiveBack Homes is organizing relief efforts through fundraising. What has Give Back Homes been able to do from California? Well, the quickest thing we could do was set up a fundraising page. When I first heard about everything that was going on in Houston, I immediately started reaching out to our members, our Houston GiveBack Homes members, to see if they were safe and to ask them what can we do immediately. And they were sending me texts and photos and videos. Pretty unimaginable what they were going through — and continue to go through. So, we put up a fundraising page right away, and we got it out to all of our members across the country … people all across the country are watching it on TV, but don’t necessarily know how to help and make a direct impact. What kind of support have you received? We’ve had real estate companies stepping forward and donating, and companies like Referral Exchange and Adwerx have donated. I woke up this morning to an email from Seth Price at Placester, saying he wanted to match every donation up to $10,000, which is pretty incredible. And then that was followed up by a text from Concierge Auctions saying they want to jump on a call and figure out how they can get involved. So, it’s really just been about organizing efforts, and giving people someone to contact and say, “What can we do,” and brainstorming with them on that. How can the average person help out? Well, we have worked with Habitat for Humanity in Houston for years. All the homes that we helped build last year are now flooded. So, we’re going to be working with Habitat to see where we can send volunteers [and] how we can help coordinate efforts there because it will be at first cleaning up and then rebuilding. Once the water recedes it just kind of reveals more disaster and more devastation that it was hiding these past few days. So, we do plan on continuing to fundraise and to also mobilize volunteers and clean-up efforts as well. How about three months from now? How would a reader get involved in that process? Anyone can email me directly at Carolyn@GiveBackHomes.com, and I’d be happy to help either direct them in the right place depending on what they’re looking to do or get them involved with Give Back Homes. We’re letting first responders, they’re there on the ground, [do] what they need to do right now. Our focus right now is fundraising, and then … figuring out what the greatest needs are and how we can best leverage what we’re good at. How can readers assist you in your fundraising efforts? The Inman reader could donate towards our fundraising efforts. They could share our fundraising page. They could encourage others and inspire others to donate as well. You know, social media is great. So, every single person that posts — it helps. I think that’s the easiest way to help. I want to remind people, people who aren’t familiar with Give Back Homes, it’s really important for us to check every donated dollar to a specific family and see exactly where the dollars are going. Donate to the relief effort in Houston through GiveBack Homes. 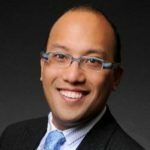 Joseph Diosana is an agent with Keller Williams Memorial in Houston, and since the hurricane, he has helped out by doing a little bit of everything because simply donating didn’t seem like it was enough. Tell me about what you’ve been doing in the Houston area. When the flooding first started I was like, “Gosh, I’ve got to do something.” So it was more of a grassroots effort where I went to buy some stuff and take it down to the George Brown Center. That was my initial start. But it felt like, I wasn’t really helping at that moment. I was helping, but it didn’t really feel like I was helping. And it didn’t feel real. It’s sort of like you watching on TV. You see all this struggle, but you don’t really. I was just so disconnected from it. I have no idea how big this thing is, but it’s large. Two 18-wheel trucks came in, and we were able to unload it, and we have tons of space. Tomorrow, we have about 600 [Keller Williams] agents, and KW Cares Fund, that are coming in, and they’re going to work shifts all through the weekend and all through the next couple weeks, which will be the big challenge, right after the initial shock. People have to go back to work, are we going to have enough crews to go out and do the [follow-up] on work that needs to happen? It’s going to be really hard for real estate agents once this part of the crisis is over. All the closings that they were counting on, they’ve all fell out of contract pretty much. They’re flooded. They will need to be repaired, reinspected and resold. How long is all that going to take? So their income now has completely gone away. Then, there is the personal side for all the agents. Last night, one of the agents in my office starts texting me asking about the process for relief. Her texts to me were kind of weird, I didn’t know what she was getting at. Their family is devastated. You know what I mean? It’s really challenging. Is there anything from the past 24 hours that stands out? At that point, we started sharing three or four immediate needs that really got me. I got off the phone, and I started sobbing because when I think about it, it’s tough. One girl had cancer, had her surgery on Friday before they evacuated before the storm. Her house gets flooded, and how is she going to rest and recover? In your opinion, what’s the biggest need? At this point it is not going to be supplies, I don’t think, but it’s going to be money. We’ll need money to buy the sheet rock. We’ll need money to buy the carpeting. 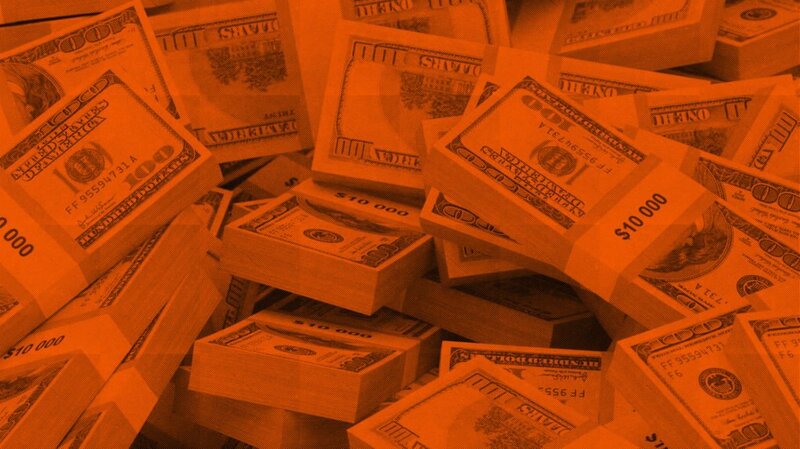 Just think about it: you know if you have to make a mortgage payment, that’s a thousand dollars, a few thousand dollars. That’s a lot of money on a house that’s busted. And it will be busted. Then it’s going to be volunteers who can come in. Not now, but months from now. We have volunteers here that also went out to Baton Rouge, Louisiana, and went out to Katrina that were working six months after the fact. They are here today, and they say, “Yeah this process takes a long time.” It takes a long time to rebuild people’s lives. Donate for the Houston relief effort through Keller Williams. 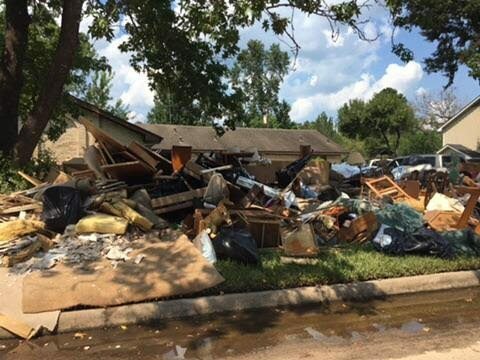 A Houston home destroyed by the flood. Mark Maniha, of Mark Maniha Real Estate Expert, and his wife have been organizing and providing help in the field both rescuing and taking people back to their homes to gather what belongings they could. He believes that the key to helping victims is to think long term. You’ve been tough to track down. What have your days been like? I’ve been all over the place. We’ve been helping a lot [of] folks. You know, we were at the Addicks Reservoir area yesterday. Most of the folks have gotten evacuated. Now, it’s family and friends and just regular individuals helping to take folks back out … to get in and get their stuff back out. So we are just helping these folks get in because they’re realizing that they’re not going to be able to go back for several weeks. Everybody is pretty safe, but now its just trying to figure out how to move on from here. From your perspective, what do you think the biggest need is going to be? Honestly, I think maybe cleaning supplies. I mean that’s probably one of the biggest things. We had some folks who were coming in from Austin yesterday, and we had them stop at Walmart and buy hundreds and hundreds of dollars worth of Clorox, spray bottles and wipes, and they’re just going to need cleaning supplies. My wife was a teacher for a long time, and she’s putting together school supplies. A lot of kiddos, it’s heartbreaking because school was supposed to start this last week. Families literally just finished getting school supplies, and for a lot of families, those school supplies are a sacrifice. It’s money that they don’t really have to give up, but they do it because they love their kiddos and want the best for them — and then they all got flooded out. So [my wife is] working with getting school supplies, and we’re getting cleaning supplies and clothing. What do you think the future looks like for the area after everything starts to dry out? Well, a lot of kids are being relocated to different schools. So that’s going to be different from the norm. And the rental market will probably go nuts, it already has. I mean, we’re getting 10-15 phone calls on every rental property that we have. I think you’ll see investors going crazy for a while. But people are resilient, and the area as well as market will bounce back. It just may some months. Is there a moment from all of this that sticks out in your mind? I’m a native Houstonian. Seeing it on the news, and then seeing it live in person is completely different. It really sets in when you’re here, and you’re seeing water go into the second story windows of people’s houses and watching Suburbans float by. But I’m extremely proud of Houston, extremely proud. And I think that people across the country can see us come together, and hopefully, it’ll do the country and the entire world good to be able to see that … we can really help each other. This is going to be a long-term deal … but we’re going to be slugging through this now for the next three to six months. There’s a lot of families that didn’t have money to take care of their kiddos that are going to need help. So, I would say not to disappear, not to forget, and if you can’t really help here locally, just sending $10 – $20 to be able to buy Clorox and disinfectants and stuff like that is a lifesaver. 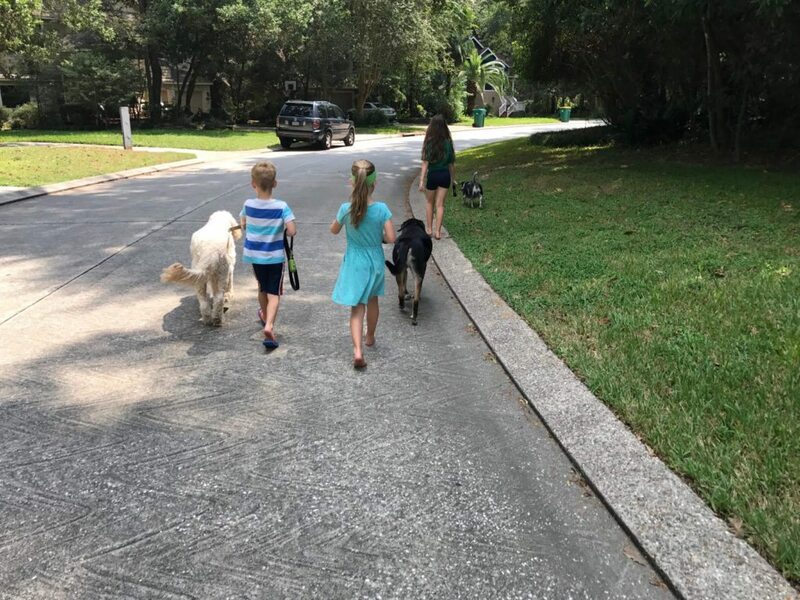 Ryan Bokros’s kids helped out by walking the dogs of neighborhood volunteers who didn’t have as much time for their pets. Since the storm hit, we’ve read about members of the real estate community all helping in the relief efforts of Hurricane Harvey in the general Houston area. The perspectives these agents have brought to us through their interviews have been tear-jerking accounts of not only tragedy and loss but also fortitude and strength. These five will be the first to tell you they are doing nothing special; they are simply five people in a sea of thousands of volunteers who have come together to support their city and fellow human beings in this time of need. These are just a few examples of the work being done by many thousands in our real estate community. For all of those who remain not mentioned and unnamed, the rest of us thank you as well for all you have done and continue to do.